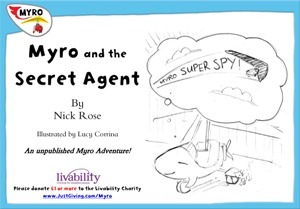 Author Nick Rose will sign & dedicate Myro Books for you making them unique gifts! Meet Myro, the Smallest Plane in the World! Watch a Clip from the School's Musical! 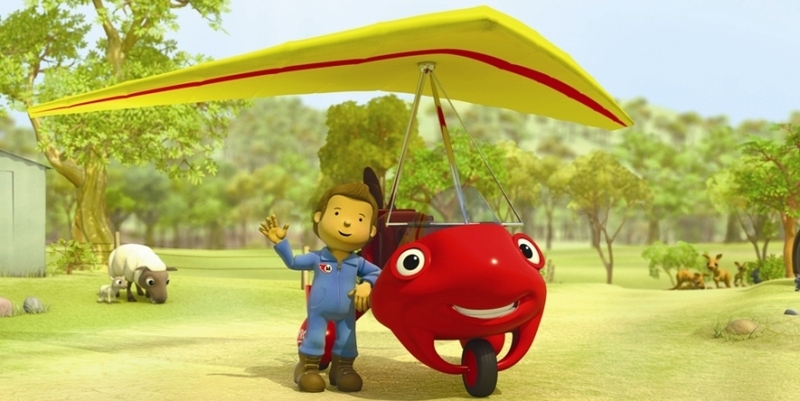 Then follow Myro, the Smallest Plane in the World as he zooms through Australia’s skies! 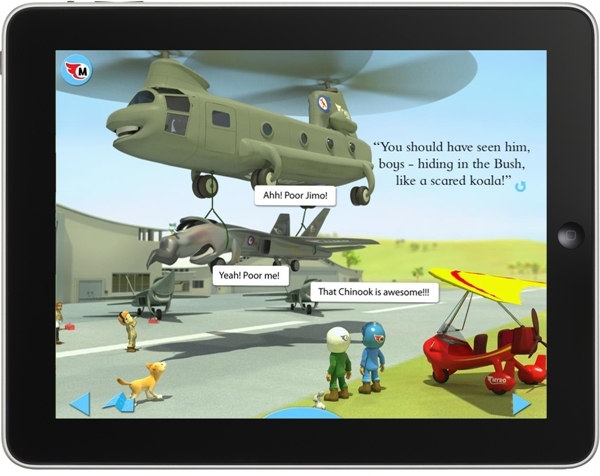 These six action packed children’s picture audio books and iPad Apps are all about the adventures of aeroplanes, narrated by superstar Christopher Biggins! Myro and his pilot Mike! 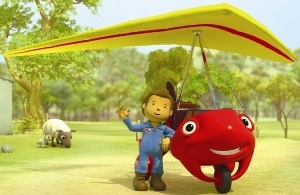 From left to right: Jimo the Jet Fighter, Quicko the Quad Bike with Madge the Manager, Hyli the Helicopter, Georgina (Gigi's pilot), Myro the Microlight, Mike (Myro's pilot) and Gigi the Gyrocopter. 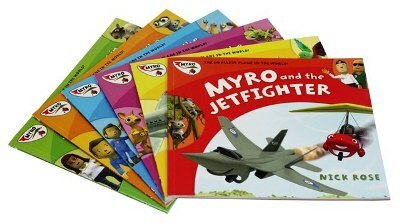 Each Myro book contains 32 fully illustrated pages full of Myro's fantastic adventures 'down under'! At the back of every book are fascinating factfiles, aircraft 'cutaways', maps and the Phonetic Alphabet. 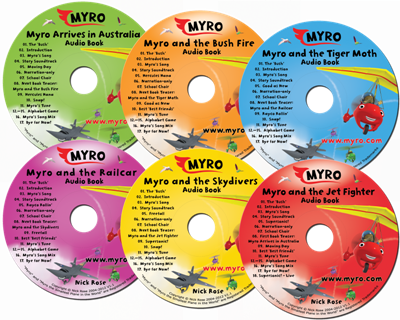 Every Myro Audio CD or Audio download from Audible is over 45 mins long! They feature Christopher Biggins narrating two versions of the story, songs, games and lots of music! Great for car journeys! Search for 'myro' in the iTunes and Audible store. 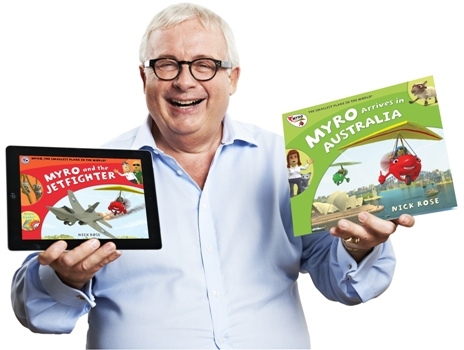 Each Myro iPad App contains upwards from 34 pages, with interactive hotspots, animation, music, songs, maps, factfiles, cutaways and games, again narrated by superstar Christopher Biggins! 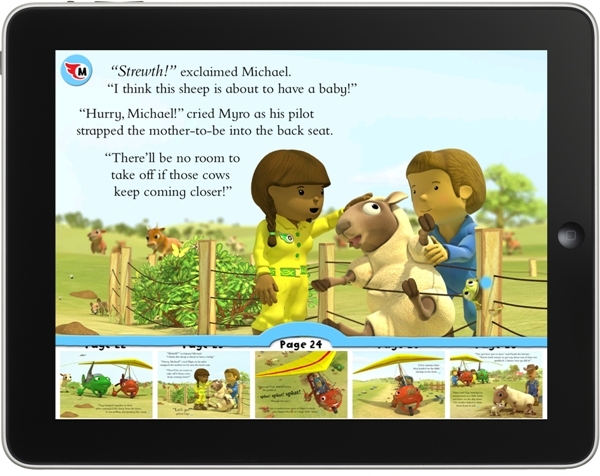 You can even record your own voice narrating the story with all the music and sound effects in the background, so you too can be a superstar! 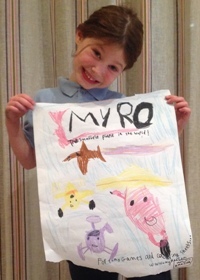 Download the first iPad App, 'Myro Arrives in Australia' for free! Search for 'myro' in the App Store.